So far, authorities sadly reported that eight people died, of whom 2 were British tourists. Fifteen others remain missing. 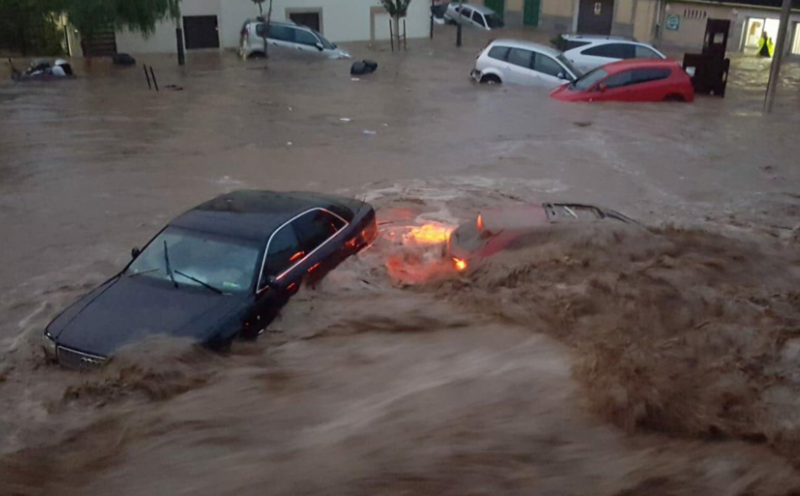 The northeastern region of the island around the small town of Sant Llorenç de Cardasser where the flash floods took place, is near where the highly popular UK television program Love Island is filmed. The Spanish meteorological agency Aemet said that the region was hit with more than eight inches of rainfall in just a few hours on Tuesday. Prime Minister Pedro Sánchez, who will visit the affected area later today, stated: "My solidarity and support goes out to the families and friends of victims and all those affected by these tragic floods." It all happened when a local river burst its banks following heavy rain and a huge wave of muddy water engulfed the whole town. Cars could be seen being swept away like toys as the water gushed rapidly through the narrow streets. The two British tourists that have perished were in a taxi on their way to the airport when the events took place. The taxi driver remains missing. A statement from the British Foreign Office said: "We are in contact with the Spanish authorities responding to flooding in Majorca, and urgently seeking updates from them." Hundreds of displaced residents from the region are held up in emergency shelters and as from this afternoon, some 80 soldiers are set to join the already 100 rescuers who are working in the affected area. According to the latest report on Spanish newspaper El Pais, the number of dead and missing is expected to rise as not everyone is accounted for.